Trammell played his entire major league baseball career with the Detroit Tigers. A native of San Diego, the slick-fielding shortstop played only a year and a half in the minor leagues and was called up to the bigs late in 1977. He singled in his first at bat and finished 20 years later with another single. Trammell appears in the Tiger’s Top Ten in almost every offensive category. 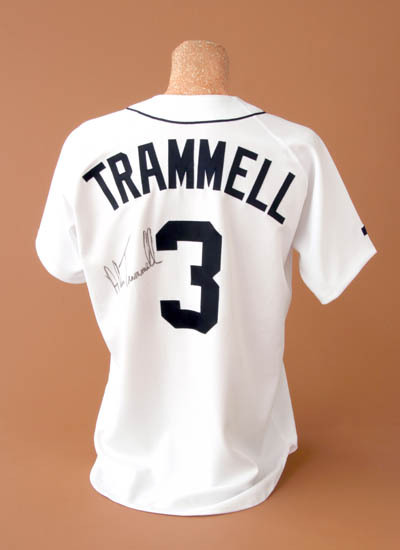 Only Al Kaline, Ty Cobb, Lou Whitaker and Charlie Gehringer played in more games in a Tiger uniform than did Trammell. He appeared in 2,293 games, finished with 2,365 hits, 1,231 runs scored, 185 home runs and 1,003 runs batted in. Defensively, “Tram” won four Gold Glove awards and was named to the American League All-Star team six times. He batted .300 or better seven times. In 1987 Trammell lead the Tigers to the AL East title by batting .343 with a career-high 28 homers and 105 RBIs. That year he became the first Tiger with 200 hits and 100 RBIs in the same season since Kaline in 1955. In the 1984 World Series, in which Detroit beat the San Diego Padres in five games, Trammell was named Most Valuable Player by hitting .450 on nine hits, including two homeruns. That’s because of his beautiful boyish smile and the exemplary way Alan Trammell has conducted himself throughout a major league career that may one day lead to Baseball’s Hall of Fame in Cooperstown. While that day may lie in his future, Trammell is extremely proud of his induction into the National Polish-American Sports Hall of Fame. Dan Ewald, former Public Relations Director of the Tigers, worked for years with Sparky and Tram. “They were a great combination for 17 seasons,” Ewald said. 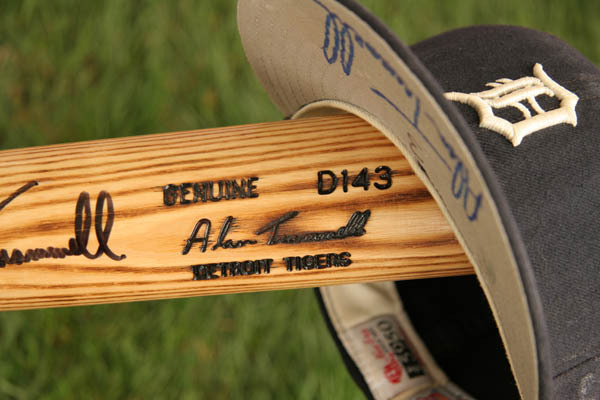 As testament to the relationship, Anderson accepted Trammel’s invitation to spend several days at the 2003 Tigers’ training camp, offering advice and evaluation to his protege and the Tigers new current manager. Trammell first arrived in Detroit in 1977 after only one-and-a-half seasons in the minor leagues. Since then, a whole generation grew up watching the youngster from San Diego play shortstop as if he had created the position. Twenty years later Trammell ended his illustrious career with another single through the box, this time at Tiger Stadium off Milwaukee’s Mike Fetters. In between those two hits Trammell didn’t change one bit. In this age of astronomical player salaries, nobody sticks with the same team for 20 seasons. But that’s exactly what Trammell did. And he conducted himself with class each step of the way. The record books are filled with all of his exploits. He appears in the Tigers’ Top Ten in almost every offensive category. For instance, only Al Kaline, Ty Cobb, Lou Whitaker and Charlie Gehringer played in more games in a Tiger uniform than did Trammell. He appeared in 2,293 games, finished with 2,365 hits, 1,231 runs scored, 185 homeruns and 1,003 runs batted in. And all of this came while he set the defensive standards for shortstops … quietly but with a passion for the game that still burns inside. He won four Gold Glove awards and was named to the American League All-Star team six times. He batted .300 or better seven times. In 1987 Trammell led the Tigers to the American League East title by batting .343 with a career-high 28 homers and 105 runs batted in. That year he became the first Tiger with 200 hits and 100 RBIs in the same season since Kaline in 1955. In the 1984 World Series, in which Detroit beat the San Diego Padres in five games, he earned the Most Valuable Player Award by hitting .450 on nine hits, including two homeruns. In 1995 Trammell and second baseman Whitaker set an American League record of 1,918 appearances together. Whitaker, like Trammell, spent his entire career as a Tiger and both retired at the age of 38. They made their major league debuts in the same game and each singled in his first at bat. Trammell’s records are impressive. They’ll stand for all-time. More impressive, though, is the character of the new Polish Hall of Famer. Not only did he serve the Detroit Tigers … he made a whole city proud. 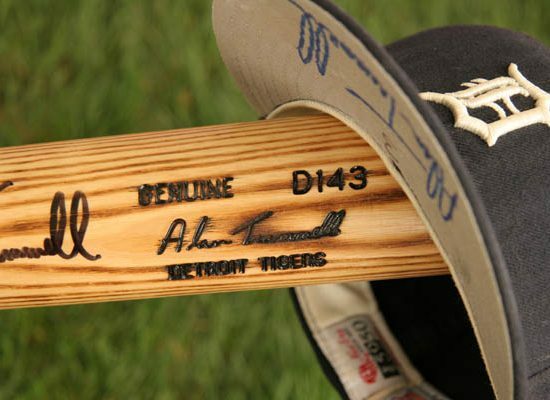 Indicative of his character, Trammell remained characteristically anonymous about all the work for charity he did throughout his baseball career. He did it quietly and always without complaint. He was the one player who always could be relied upon when there was something to be done for children or the less fortunate. Today he serves as President of CATCH, the charity Sparky founded to help underprivileged children at Children’s and Henry Ford Hospitals. Trammell has held a front office position with Detroit as an assistant in the Baseball Operations Department, he served as the hitting coach for the Tigers, he coached for the San Diego Padres, and has now returned for the 2003 season as the Tigers’ skipper. On the field Trammell had few peers. He always marveled at the exploits of his teammates and the players he competed against. But it was Trammell who quietly went about setting the standard of excellence. The generation of Tiger fans who grew up watching Trammell at short came to believe that a shortstop never mishandled a tough play in a tight situation. That’s because “Number 3″ never did. They also grew up to believe that the really good players never complained and were loyal to the team. That’s also because that’s the way Trammell conducted himself. Alan Trammell’s Polish roots are traced back to his grandparents, natives of Poland. His mother, born Anne Panczak in Bridgeport, Pa., resides in San Diego, Calif., about 10 miles from Del Mar, where Alan and his family live: wife Barbara (Leverett), and children Lance, 16, Kyle, 14 and Jade, 10.